C-Thru™ 50 Gallon Trash Can - Glasdon, Inc. 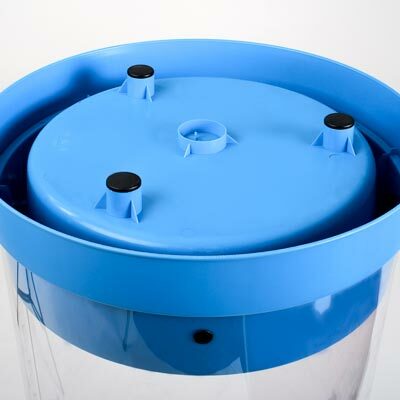 The C-Thru 50 Gallon Trash Can is a large capacity, clear receptacle that can be conveniently assembled & dissembled for ease of use and storage. The C-Thru 50 Gallon Trash Can features a transparent polycarbonate body which has been purposely-designed for environments where security is paramount. The receptacle allows full inspection of contents and complies with Department of Homeland Security Directive RAILPAX-04-01. The large capacity of this unit makes it ideal for collecting un-recyclable material in high traffic areas, and can help to mitigate the issues of cross-contamination when supplied with the co-coordinating recycling container. The unit can be quickly assembled and dismantled which makes it ideal for use at sporting and music events. The components are designed to nest within one another and revert to a flat-pack state, which minimizes the storage space in which they occupy. 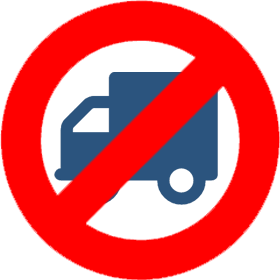 The distinguishable decals reduces the risk of contamination and encourages users to deposit their waste correctly. 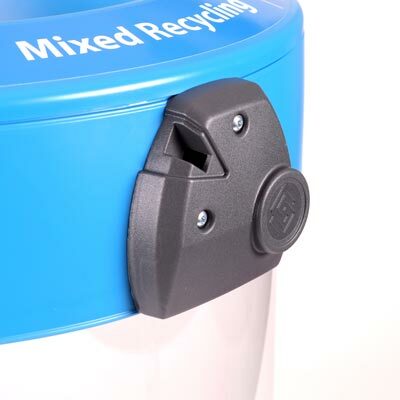 The aperture lids within the range are also conveniently snap-fitted onto the lid ring, which makes them interchangeable if you wish to collect different types of waste. The versatility of the receptacle makes it suitable for both indoor and outdoor use and can be placed freestanding on firm, even ground or can be sited upon uneven ground using temporary soft earth anchors. 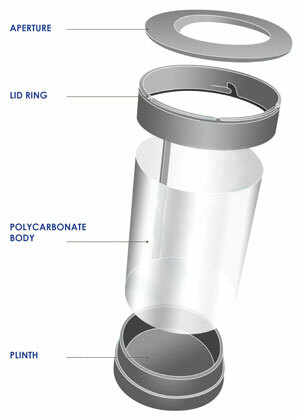 The C-Thru 50 Gallon Trash Can also comes standard with a lift on, lift off lid ring and aperture. A key lock system is also available to provide additional security. Non-standard colors for the apertures, lid ring, plinth & decals are available, please contact us for more information. Ideal for transport hubs, stadiums and high-security events. Features a large 50 gallon capacity making it suitable for high traffic areas. Easily disassembled to transport & store in a flat-pack form. Supplied with rubber base feet to provide stability. Highly visible & interchangeable apertures. Optional key lock system for extra security. *Weight indicated is for locking model with paper aperture. Slight weight variations for each different aperture will exist.